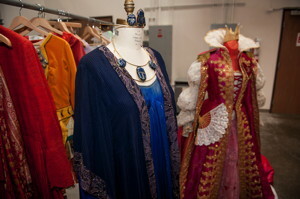 Don’t miss LA Opera’s classic costumes SALE, Saturday, March 28, in the parking lot of their Downtown warehouse. This event is open to the public from 10:30am—4pm. 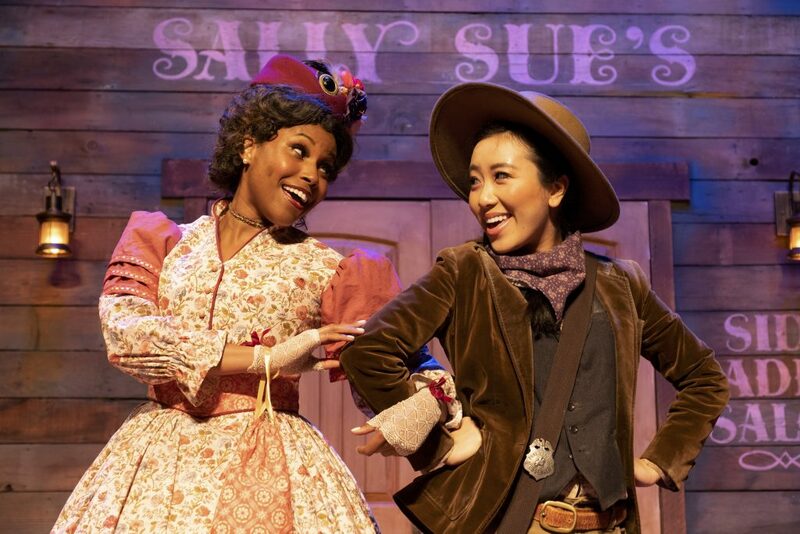 LA Opera’s Costume Shop is moving from its longtime home at 330 South Alameda Street in downtown LA to a nearby location later this spring. 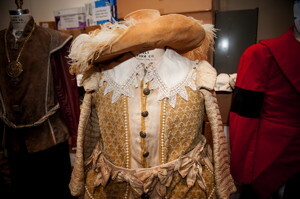 To prepare for the big move, the Costume Shop is clearing house and, for only the third time in the company’s history, they are staging an open-air sale. 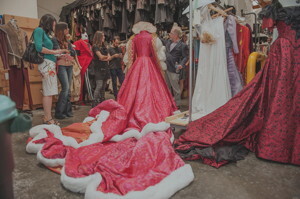 Over 1,000 costumes on 90 clothing racks will be wheeled out to the parking lot and put on sale alongside tables of one-of-a-kind items such as handcrafted hats, uniquely designed shoes, numerous masks, theatrical jewelry, period wigs, gladiatorial armor and even slave cuffs. Also for sale will be bolts of unusual fabrics and faux fur, as well as buttons, belts, floral hair pins, bustles and panniers. At the sale, prices from $2.00 to the hundreds — maybe thousands — for the more priceless costumes. Head for the “diva” section for one-of-a-kind, laboriously hand-sewn, made-to-measure costumes — it’s the closest thing some of us will get to owning haute couture. 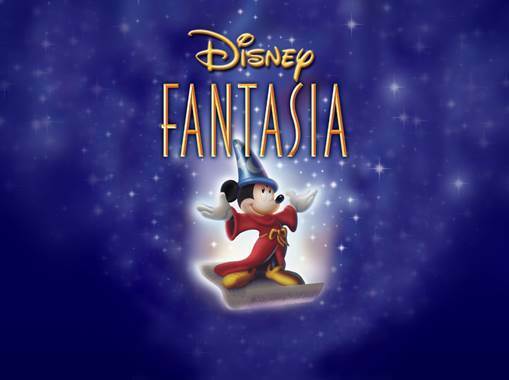 Costumes available for sale will include items from Aida, The Barber of Seville, The Birds, The Broken Jug, Cinderella, The Grand Duchess, Lucia di Lammermoor, Orfeo et Euridice, The Queen of Spades, Salome, The Turk in Italy, The Turn of the Screw and Vanessa, among others. 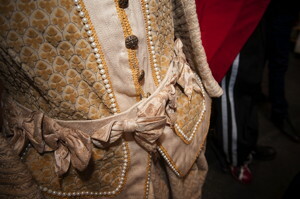 Kiri Te Kanawa’s costume from 2004, as the lead in “Vanessa” – this photo (only) by Pauline Adamek. All other photos by Ben Gibbs. 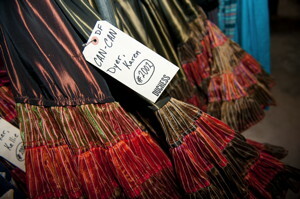 Pictured below is one of the three gowns worn by Kiri Te Kanawa in 2004, as the lead in Vanessa — her diva swan-song production. 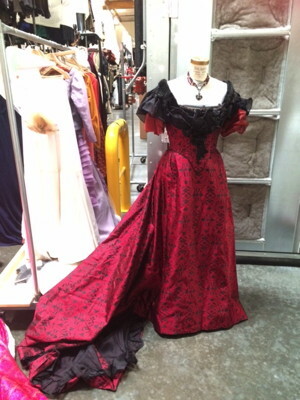 Unfortunately, this priceless handmade gown will be going up for silent auction… The killer stuff – such as Kiri’s gown, a costume worn by Placido Domingo and several other key, priceless pieces — will only be offered via silent auction to LA Opera patrons at a private event. I’d love to know what the top flight stuff goes for on the block! 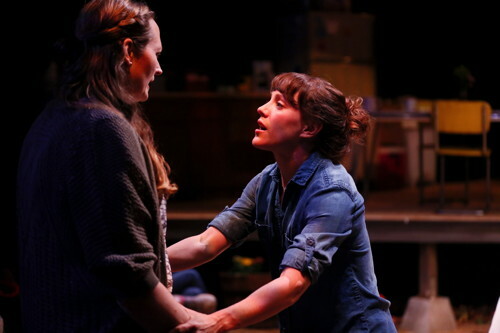 All photos by Ben Gibbs.